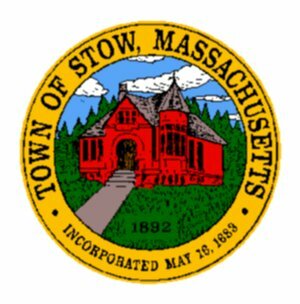 The Town of Stow is situated midway between Boston and Worcester and is a small residential community with rural aspects. The town boasts several apple orchards. In addition, there are two sheep farms, one which conducts an "open barn" in the spring;a very popular event for children to view and pet the new lambs. Stow has several championship golf courses including Stow Acres Country Club, one of the country's finest. The town plans to become the golfing center of the northeast. A private airport and Lake Boon, which has become an attractive year-around residential area are sources of pride to the community as well as Plantation Apartments for seniors, Pilot Grove Hill and Stow Farms which was built in conjunction with the Local Initiative Program of the Department of Housing and Community Development (DHCD). Previous to its incorporation in 1683, Stow was called Pompositticut Plantation. The community is concerned with preserving Stow's historical past, but encourages limited growth that is protective to current residents and those who will make Stow their home in the future.